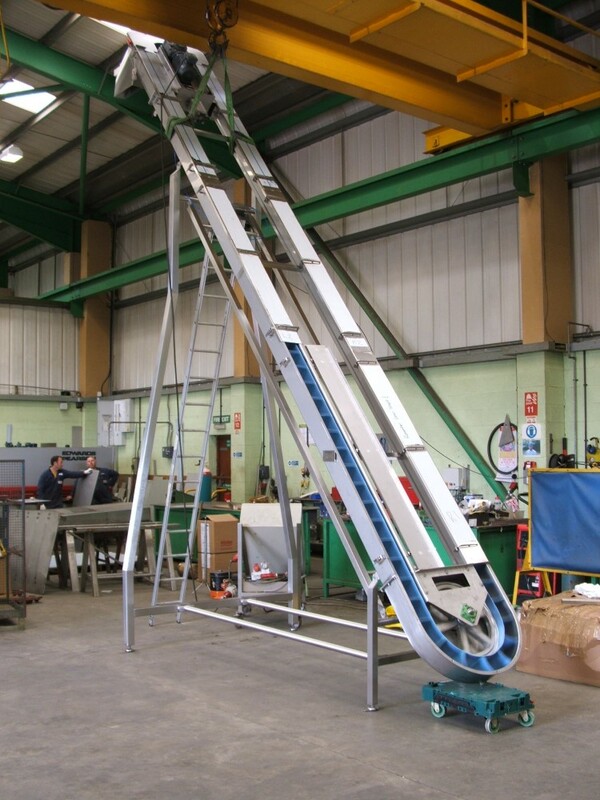 These elevators are suitable for all general types of elevation systems needed and come in a range of shapes from swan-neck to straight and curved. We can fit an elevation system into any shape factory building to ensure your food products are processed as required. 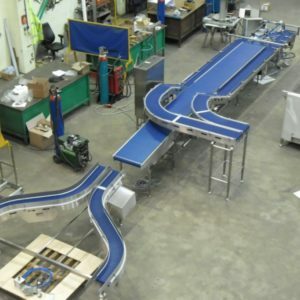 We have a number of belt types to fit with your conveyor systems including: PU, PVC, plastic modular and stainless steel wire. 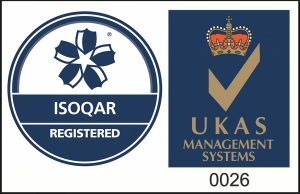 Our elevators are suitable to carry all types of food produce. 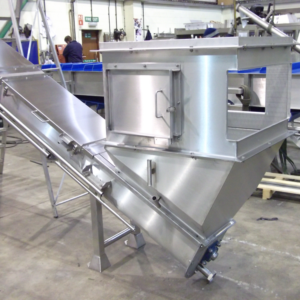 These elevators are particularly popular for the processing of diced vegetables or garden peas. 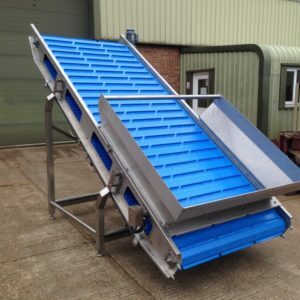 They are designed to elevate free flowing food with minimal spillage and can reach rates of up to 10 tonnes per hour. Belt tensioning capability using slide rails on top roller enables easy removal of the belt for cleaning in situ. 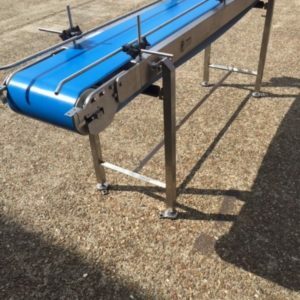 A pneumatic cylinder allows for de-tensioning of the belt for removal for cleaning and to re-tension automatically on replacement of the belt.